Ednyfed Fychan (c. 1170 – 1246), full name Ednyfed Fychan ap Cynwrig, was a Welsh warrior who became seneschal to the Kingdom of Gwynedd in Northern Wales, serving Llywelyn the Great and his son Dafydd ap Llywelyn. He claimed descent from Marchudd ap Cynan, Lord of Rhos, 'protector' of Rhodri Mawr, King of Gwynedd. He was ancestor of Owen Tudor and thereby of the Tudor dynasty, and all its royal successors down to the present day. As is usual with medieval orthography, a variety of spellings were used for his name in medieval sources, such as Vychan and Idneved Vachan. Fychan, meaning literally "small" but also "junior" or "younger", is the origin of the common Welsh personal name, Vaughan. Ednyfed is said to have first come to notice in battle, fighting against the army of Ranulph de Blondeville, 4th Earl of Chester, who attacked Llywelyn at the behest of King John of England. Ednyfed cut off the heads of three English lords in battle and carried them, still bloody, to Llywelyn, who commanded him to change his family coat of arms to display three heads in memory of the feat. In 1215, he succeeded Gwyn ab Ednywain as seneschal ("distain" in Welsh) of Gwynedd, roughly equivalent to Chief Councillor or Prime Minister. His titles included Lord of Bryn Ffanigl, Lord of Criccieth, and Chief Justice. He was involved in the negotiations leading to the Peace of Worcester in 1218 and represented Llywelyn in a meeting with the king of England in 1232. Ednyfed had estates at Bryn Ffanigl Isaf near Abergele and at Llandrillo-yn-Rhos, now a suburb of Colwyn Bay. These were the palace of Llys Euryn, on the hill of Bryn Euryn, and Rhos Fynach, on the seashore below it. He also held lands in Llansadwrn and presumably also on Anglesey, where his son had his seat. 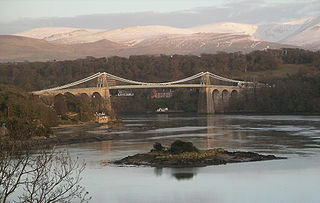 Ednyfed was married twice, first to Tangwystl Goch ferch Llywarch of Menai (but perhaps of Rhos? ), a known mistress of Llywelyn the Great, the daughter of Llywarch ap Brân, then to Gwenllian, daughter of the prince Rhys ap Gruffydd of Deheubarth (order incorrect?). Ednyfed probably went on a crusade to the Holy Land around 1235, although the evidence is not conclusive. Gwenllian died in 1236. On Llywelyn the Great's death in 1240, Ednyfed continued as seneschal in the service of Llywelyn's son, Dafydd ap Llywelyn, until his own death in 1246. One of his sons was captured and killed by the English in the war of 1245. Ednyfed was buried in his own chapel, now Llandrillo yn Rhos Church, Llandrillo-yn-Rhos (Rhos-on-Sea), North Wales, which was enlarged to become the parish church after the previous one (Dinerth Parish Church) had been inundated by the sea during Ednyfed's lifetime. His tombstone, was reputed to lie near the altar of Llandrillo Church, now in a vertical position in the entrance porch of the church, but this is disputed as the name inscribed is an Ednyfed 'quondam vicarius' (sometime vicar). An "Ednyfed ap Bleddyn" was vicar in 1407. Two other sons were successively seneschals of Gwynedd under Llywelyn ap Gruffudd. After Llywelyn's death in 1282, the family made its peace with the English crown, though a descendant joined the revolt of Madog ap Llywelyn in 1294-5, acting as Madog's seneschal after his proclamation of himself as prince of Wales. 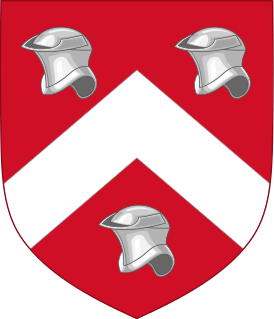 Ednyfed's son Goronwy gave rise to the Penmynydd branch of the family in Anglesey, from whom Owen Tudor and later Henry VII were descended. I'll have my own bed, my own house, my own fire!" "This was the tune 'Farewell' to my dear Gwenllian. Hence let her go with her new husband. My faithful harp, come to my arms." ^ Bezzant Lowe, Walter (1912). The Heart of Northern Wales. Llanfairfechan. p354. ^ Bezzant Lowe, Walter (1912), pp370-371. ^ Bezzant Lowe, Walter (1912), p.355. ^ Bezzant Lowe, Walter (1912), p358. ^ Bezzant Lowe, Walter (1912), Chapter V11 pp.354ff. ^ Bezzant Lowe, Walter (1912), p357. The translation from the Welsh is credited to Mrs Watts-Jones of Glyn, Dygwyfylchi. Presumably this folk tale was handed down through the ages; a similar tale exists for the medieval poet Einion ap Gwalchmai. Although it is possible that Ednyfed went on a crusade, the tale itself belongs to the realm of folklore rather than history. Rhos-on-Sea is a seaside resort in Conwy County Borough, Wales. The population was 7,593 at the 2011 census. It adjoins Colwyn Bay and is named after the Welsh kingdom of Rhos established there in late Roman Britain as a sub-kingdom of Gwynedd. It later became a cantref (hundred). Sir John Wynn, 1st Baronet, was a Welsh baronet, Member of Parliament and antiquary. Dafydd ap Gruffydd was Prince of Wales from 11 December 1282 until his execution on 3 October 1283 by King Edward I of England. He was the last independent ruler of Wales.